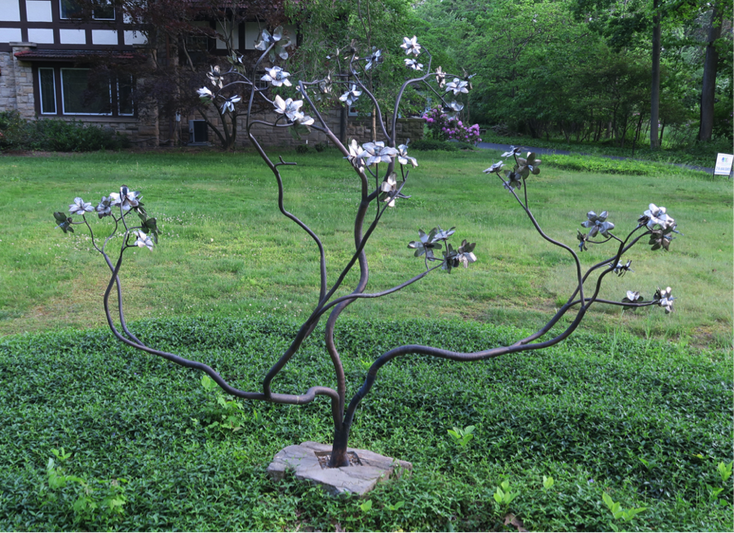 The Shaker Historical Society is currently exhibiting a sculpture, “ Magnolia” designed by Matthew Albright. The life-size sculpture is 100% handmade from recycled materials that are infused with the history of Shaker Heights. 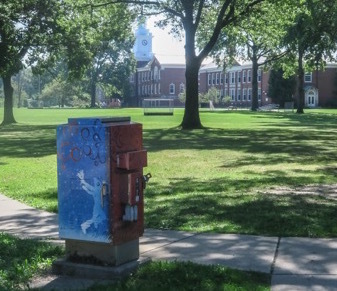 The copper water lines that comprise the structure of the tree were removed from Shaker Heights neighborhoods during construction and remodeling projects. The sturdy base which supports this sculpture was once used as a curb along Fairmount Boulevard. Matthew Albright of Euclid, Ohio spent most of his twenties honing the hands-on skills and dexterity for welding. He gravitated towards copper, and today is known for his intricate nature inspired metal sculptures that speak to his agrarian side. "In the beauty of recreating plant life, you can take something that's common and already enjoyed, recapturing and posturing it so that everybody can appreciate it," Albright says in describing what he finds so fascinating in emulating ingredients from the outside world and garden-swept environments. "In time, I'd like to get into building life-size trees" he adds. His magnolia tree is close in size to a youthful one, standing about eight feet in height at the Historical Society's front garden. Learn more about Albright here. 2. On Lee between Van Aken and Chagrin notice the hanging lamp post signs.